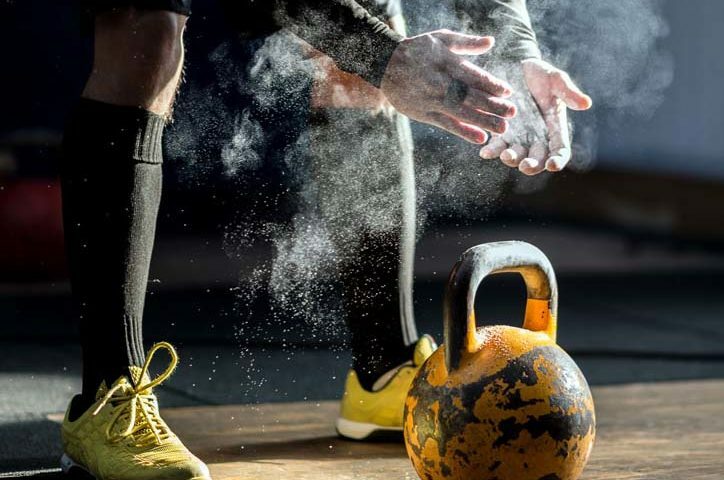 There is a reason why so many people are incorporating kettlebells as a mainstay in their daily training regimen, and that’s because kettlebells provide a serious, whole-body strength and cardio workout. You can develop functional strength with just one piece of equipment, and can avoid the boredom and monotony of dumbbells and machines at the gym. All of this sounds good, right? Well, most beginners to kettlebell training understand that there are great benefits to incorporating this equipment into their workouts, but many do not know what size is right to start with. That’s why we put together this short guide to selecting your first kettlebell. When beginning a new workout regimen with an unfamiliar piece of equipment, it is wise to start with a relatively lighter weight and gradually move up to heavier weights once you are familiar with the proper form and correct movements. Kettlebell training is no exception to this strategy. We recommend that most guys start out with a 35-pound (16-kilogram) kettlebell and work their way up from that starting weight. After a few months, you may wish to move up to a 53-pound (24 kilogram) bell. Men who are comfortable benching over 200 pounds may want to skip the 35-pound kettlebell and start off with this weight. 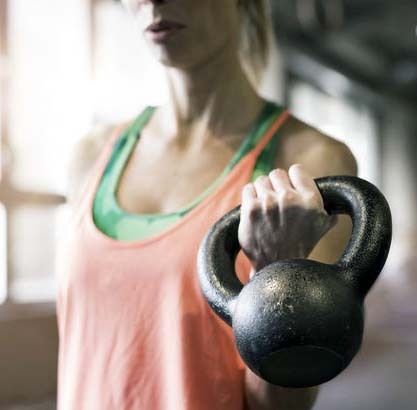 Because a strong strength training regimen involves gradual increases in weight, it may be more cost-effective and practical to purchase a set of kettlebells so you know that you have the proper kettlebells on hand when you are ready to move up to a heavier weight. Beginners to kettlebell training should choose a kettlebell that allows them to learn the movements and practice the proper form before increasing the resistance with heavier weight. 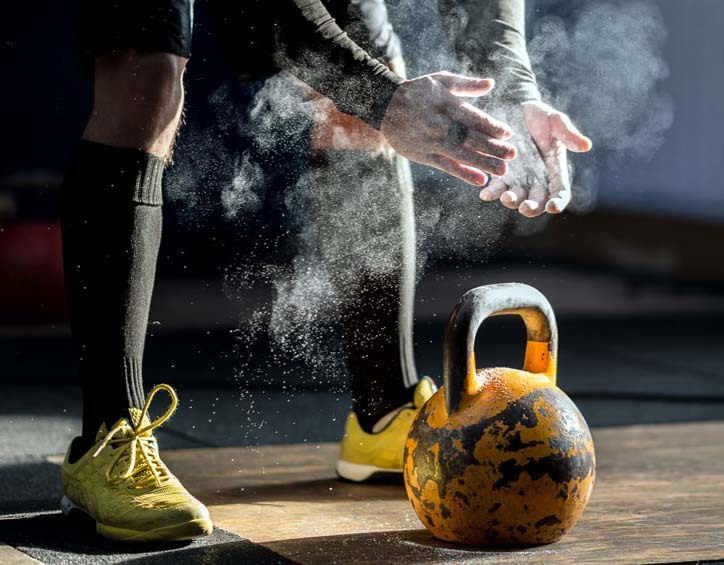 That’s why we usually recommend that you start with an 18-pound (8-kilogram) kettlebell, and then move up to a heavier weight after three to six months of training. If you have experience lifting and are more confident with heavier weights, you may wish to start with the 26-pound (12-kilogram) kettlebell. This intermediate weight will provide a substantial amount of resistance, and is a good place to begin. Purchasing a set of kettlebells might be a more practical (and often more cost-effective) way to build out your home gym with the right sized equipment for a sustained training regimen over time.